Some good news from our Marketing Calendar! We have recently updated it with an extremely helpful feature to make sure that a campaign is on track to meet its objectives. 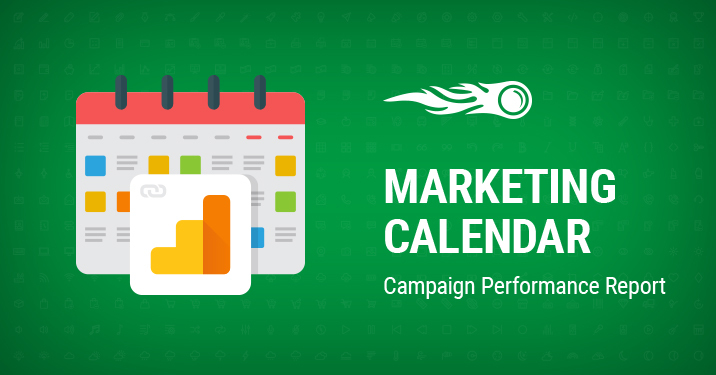 You can now link campaigns in the Marketing Calendar to your real campaigns in Google Analytics by using UTM tags, and then track the traffic data. With this feature you can get a quick overview of how well your current campaign is doing without the need for checking the GA data directly. It’s much easier now to react promptly to any developments, or to change or add scheduled activities. Your collaborators will also be aware of the results and can plan their further workflow according to them. Share your outcomes with colleagues, your boss, or clients easily without providing them with tonnes of complex GA data, having to import it into Excel, etc. Simply and effectively. You can now easily connect your GA account (make sure you have one) and link a campaign to the Marketing Calendar using a UTM tag. 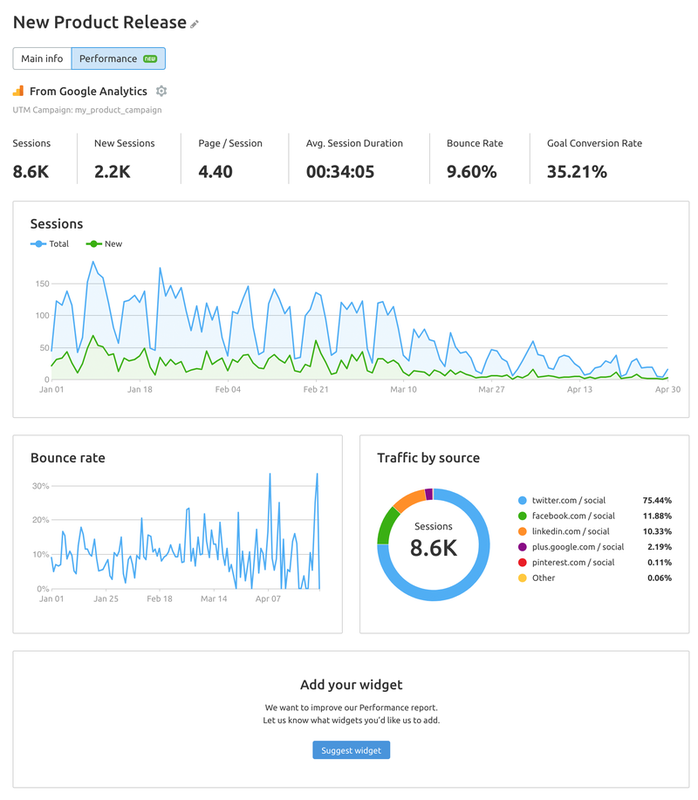 After doing so, you will be allowed to check metrics on that UTM tag. You can connect UTM on the Performance tab in the Calendar. Only a Calendar owner is allowed to connect GA. Type in any UTM tag or select any of the proposed ones.